For unbeatable comfort and cute southwestern style, slip into the Johnnie Driving Moc from Roper. These slip ons by Roper have a blue denim canvas fabric with an Aztec blue vamp . Meet your perfect stroll-around-town pair. Enjoy barefoot comfort wherever you go when you pull on these driving shoes from Twisted X. 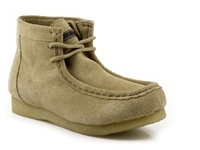 Turn your outfit from drab to fab with the Twisted X Fringe Driving Moccasins. The comfort of our Twisted X driving moccasins will have you convinced that you’re kicking about in your most comfortable slippers! Show your patriotic pride in these sharp ladies Western boots from Ariat. The Ariat Fuse Collection blends sport and fashion with stylish, athletic designs and innovative comfort to re-energize tired feet. Pull off your boots and slip into the Cruiser from Ariat! Show your fun side with with the Ariat Women's Serape Fatbaby Heritage Cowgirl Boot. same fun styling with non-riding and riding soles perfect for everyday wear.